2002 and it is still going strong! This is an extremely reliable vehicle! Super safe and has a sleek look to it, despite its age! If you are short on cash and do not want to finance a vehicle, this is definitely a great investment. We do not regret acquiring this car! Join the Volvo family. I believe that with proper maintenance this car should go up to 300,000 miles. I trust this car. I purchased this vehicle used from 1 owner, low miles. I have had no major issues, regular maintenance. Going strong. Feels sturdy and good on the road. I love my Volvo. It is a safe automobile that I feel I can use for a few more years. Getting old and starting to hear noises. It also burns a lot of gas. There is something wrong with the internal clock as I cannot set it properly. It continues to advance. 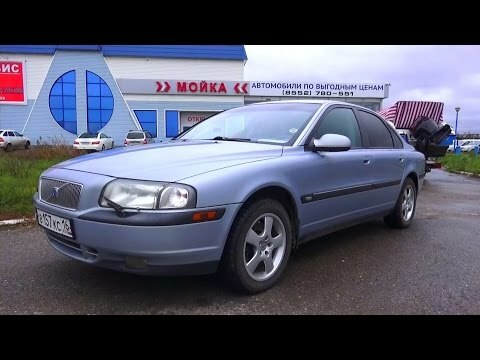 2002 Volvo S80. Start Up, Engine, and In Depth Tour.